Inequality has come to be seen as the defining political problem of our time. Some protesters with Occupy Wall Street, for example, marched with signs showing the growing income share of the very wealthy. But what kinds of inequality really matter? What problems does it cause? Should inequality between nations concern us more or less than inequality within them? And how is inequality today different from inequality of previous decades or centuries? This course will draw on a growing literature to try and understand these problems. We will study the origins of global economic inequality, political movements that attempted to challenge and reduce inequality, and the effects of inequality on democracy in the United States today. Readings will include important books from Branko Milanovic and Timothy Noah, as well as classics such as Karl Polanyi’s The Great Transformation and the book of the hour, Thomas Piketty’s Capital in the Twenty-first Century. Branko Milanovic, The Haves and the Have Nots, Basic Books, 0465031412, 978-0465031412, paperback, 2012, $13.49. Timothy Noah, The Great Divergence, Bloomsbury, 1608196356, 978-1608196357, paperback, 2013, $10.10. Adam Hochschild, Bury the Chains, Mariner, 0618619070, 978-0618619078, paperback, 2006, $13.29. Aravind Adiga, The White Tiger, Free Press, 1416562605, 978-1416562603, paperback, 2008, $9.04. Elizabeth S. Anderson, “What is the point of equality?” Ethics109, no. 2 (January 1999): 287-337. Martin Gilens, “Inequality and Democratic Responsiveness,” Public Opinion Quarterly 69, no. 5 (special issue 2005): 778-796. Heather Pringle, “The Ancient Roots of the 1%,” Science 344, no. 6186 (23 May 2014): 822-825. Kenneth Pomeranz, “Political Economy and Ecology on the Eve of Industrialization: Europe, China, and the Global Conjuncture,” American Historical Review 107, no. 2 (April 2002): 425-446. Daron Acemoglu et al., “Reversal of Fortune: Geography and Institutions in the Making of the Modern World Income Distribution,” MIT Working Paper 01-38, August 2001. Calculating inequality problem set due in class. Adam Hochschild’s book is gripping but also long—so get started this week, even though we won’t discuss it until October 29. Amy Dru Stanley, “Conjugal Bonds and Wage Labor: Rights of Contract in the Age of Emancipation,” Journal of American History 75, no. 2 (September 1988): 471-500. Keep on going with Hochschild, Bury the Chains in the background, though it won’t be the primary book under discussion until next week. It may come up in relation to this week’s other readings. Adam Hochschild will join us for a discussion of his book. One- or two-paragraph description of what you plan to do for your final is due. Mara Hvistendahl, “While emerging economies boom, equality goes bust,” Science 344, no. 6186 (23 May 2014): 832-835. 30% participation: I will reward participation that is curious, engaged, and constructive. 5%: problem set on calculating inequality. 20% short responses: Four times throughout the semester, prepare a short response to the week’s readings, of 300-500 words. These responses should not summarize the readings (though you may find it necessary to restate the argument), but should expand on what you have read by raising doubts, analyzing evidence, connecting to your experiences, or making connections to another week’s reading or work from other courses. If you need to miss a week of class, you must turn in a short response for the missed week after you return. 5%: brief, one- or two-paragraph description of what you will do for your final. Due November 12th. Describe what you plan to do, what question or questions you hope to answer, and what sources you think you will use. 1) A public policy analysis. 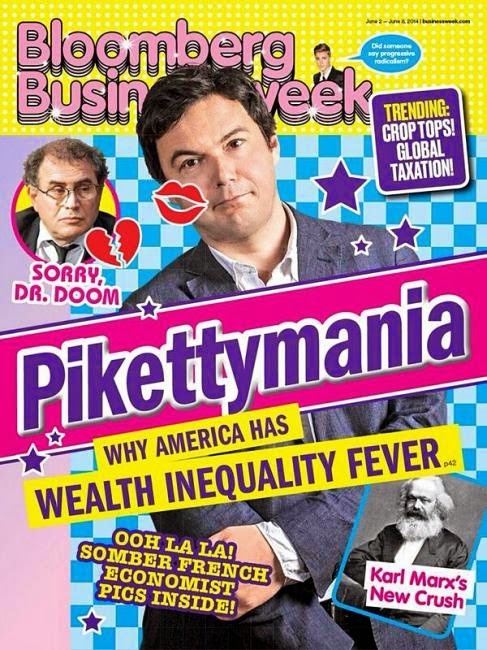 Piketty, for example, argues for a global tax on capital. But what policy, or set of policies, do you think should be changed? Make a proposal and describe its intended consequences, the institutions that would have to be changed in order to realize it, the political coalition that would fight for it, and the impact it would have on inequality. Successful papers will find and use data. 2) A historical paper that looks back at some aspects of inequality or a movement that sought to change it. 3) Data analysis of trends in inequality. You might draw from the World Top Incomes Database and/or World Bank data to examine trends in one or more countries. For example: can you find a country or countries where Gini coefficients dropping but the top 1% taking an even greater share of income in recent years? What policies and conjunctures explain these trends? 4) Some other project related to the topic of the course that will educate you and the broader public about an important aspect of inequality. If you have another project in mind, just clear it with me!